Linköping, Sweden, 14 januari, 2018 - ELITS is known for attracting talented employees who display a great deal of drive and dedication, and this time is no exception. We are very pleased to announce that Börje Berg has taken responsibility for operations in Stockholm. The family-like feeling and the dynamic environment with so many different nationalities, ages, and cultures made it very easy for me to choose to work with one of Sweden's best employers. ELITS has enjoyed significant growth over the past few years and is now strengthening its management with the addition of Börje Berg. Börje has taken responsibility for operations in Stockholm, to strengthen ELITS’ position and growth in the Stockholm area. Börje has extensive and solid experience working with attracting, recruiting, and developing IT consultants. He has more than 25 years of experience in the industry and has most recently been running his own consulting business. 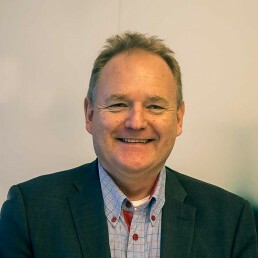 Prior to that, Börje has had various roles, both as a leader and Key Account Manager with Martinsson Information Systems, Entra Data, Financial Systems, and Emric. Börje’s holistic view gained over years of working locally, nationally and internationally provides a valuable perspective regarding the factors that are most important for achieving success in consulting. – The idea that we must always strive to be sitting next to our customers rather than across from them, and that we really do care so much about our customers and coworkers creates a warm feeling for me. Building a successful company based upon such strong values that permeate everything within the company requires incredibly skilled consultants and leaders. It is with pride and great enthusiasm that I take on the task of being responsible for our business in Stockholm. Our employees and customers will get the benefit of the skills and experiences that I have acquired in my professional life. I see great opportunities to further develop our position as a leading provider of IT specialist services with smart solutions that streamline our customers’ IT environments. It will be incredibly fun to work together with my colleagues at ELITS to continue to develop the business while still maintaining the family feel. » says Börje Berg. – Börje is a strategic and important recruitment for us and we are pleased to welcome him to the team. Börje was chosen based on his broad expertise and experience within ELITS’ most important business areas. The fact that he is now on board with us is really an asset, both because he is well established in the industry, but also for our future development. With Börje’s energy, drive, and extensive industry knowledge, he will be able to contribute in business from day one, says Olle Hasselblad, CEO. We extend a warm welcome to Börje! How did you choose ELITS? have followed ELITS’ growth with interest and respect. Building a successful company with such an incredibly strong and rooted value base that permeates everything within the company requires incredibly skilled colleagues. Even though you are a global company, it’s the family feeling that was crucial to me – that’s why I choose to work with one of Sweden’s best employers. To work to develop my colleagues, ELITS customers and myself in an open, family-oriented environment where all involved are valued, encouraged, and empowered to provide input. What will be your primary areas of focus? To use my experience as both a customer and an infrastructure and software supplier to develop and broaden what we offer to our existing customers and, of course, to work to broaden our customer base. A lot of energy as well as a great willingness to dare to develop both us and our customers. I also hope to add a bit of humor. We wish you a warm welcome to ELITS! Roger Haraldsson, Marketing Communications Manager. Est. 2006 in Linköping · Copyright © ELITS Global Group. All Rights Reserved. When you visit any site, it may store or retrieve information through your browser, usually in the form of cookies. Since we respect your right to privacy, you can choose not to permit data collection from certain types of services. However, not allowing these services may impact your experience. You read and agreed to our Privacy Statement. For performance and security reasons, we use Stackpath as our CDN network.